Dr. Jacqueline Kao Wu, OD, is an experienced and skillful optometrist leading the Diamond Vision Optometry team in Pasadena, California. She's passionate about helping her patients achieve and maintain the best vision possible. Dr. Kao Wu offers general eye care along with pediatric eye exams, specialty contact lens fittings, and more. Dr. Kao Wu graduated from Salus University Pennsylvania College Of Optometry in Elkins Park, Pennsylvania, in 2008. During her internship, she worked in the pediatric department of The Eye Institute in Philadelphia. She also trained at the Veterans Affairs hospital in Palo Alto, California, and at Drexel University College of Medicine’s Department of Ophthalmology in Philadelphia. Since that time, she's worked in private practice. She co-founded Diamond Vision Optometry in 2010, and she also works with other local eye care professionals and physicians to ensure optimal patient care. 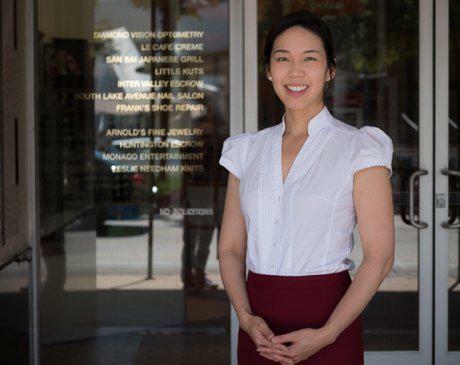 Dr. Kao Wu is proud to bring more than 10 years of diverse experience to Diamond Vision Optometry, and she loves welcoming new patients to the practice. Call the office or schedule an appointment online today.